Dr. Mike on his “Cookin’ With Doc” show. Dr. Mike is one of the few brave doctors willing to give us a shout out about how the modern Western diet is killing us and what we can do to stop it. This book is stock full of evidence to back up his recommendations on what to eat and what not to eat. But then again, how much more evidence do we really need to figure out that the modern Western diet and all-you-can-eat buffets are connected to the disabilities and diseases of modern civilization? It’s ironic that we’ve become so accustomed to shopping in grocery stores stocked with packages that we need to produce evidence to show that real food doesn’t come in a box. The eating “program” Dr. Mike prescribes is a tasty and nutritious solution that anyone can adhere to. He recommends adding more fresh juice, organic fruits and vegetables, probiotics, prebiotics and spice to our diet while subtracting modern wheat, high fructose corn syrup and artificial sweeteners. “No junk food or fast food,” this doc advises. This savory book is peppered with great tips and jammed with sweet suggestions. I’ve already gone back to read several of the sections a number of times. Each time through I pick up on a new flavor or scent. Step 1A: Begin with a juice detox for 3 days. Juice is nature’s energy drink. If possible, buy seasonal produce from a farmers market or local organic market. Use a variety of colors of fruits and vegetables such as: carrots, apples, celery, beets, cabbage, ginger, oranges, limes, lemons, berries and leafy greens. Find a juicer that works well for you, preferably one that extracts the pulp. If you work full-time, he recommends starting the detox on a Friday and ending on a Sunday. Step 1B: Chase the rainbow. Eat lots of dark leafy greens such as: kale, spinach, broccoli, bok choy, watercress, mustard and other greens. They’re rich in vitamins A, C, E, and K. They also provide a good source of B-complex vitamins. Add a rainbow of different colored fruits and vegetables. This helps to maintain healthy gut microbiome. Step 2: Incorporate probiotics into your diet. “What you eat combines with your gut microbiota to fuel your personal bioreactor. This bioreactor aids your digestion, provides nutrients, and not only helps for the basis of the immune system, but helps regulate it,” says Dr. Mike. “The key here is to repopulate your gut microbiome with the right balance.” Check out his book for more details on which probiotics might work best for you. Step 3: Feed the probiotics. “It does no good to keep taking probiotics if you don’t feed them,” says Dr. Mike. “Naturally occuring synbiotic combinations such as bananas with live-culture yogurt, or vegetables stir-fried with miso, cost less than supplements and have the added benefit of being delicious.” Prebiotics are found in many foods such as: bananas, honey, garlic, onions, leeks, asparagus, artichokes, soybeans, chicory, dandelion greens and burdock. 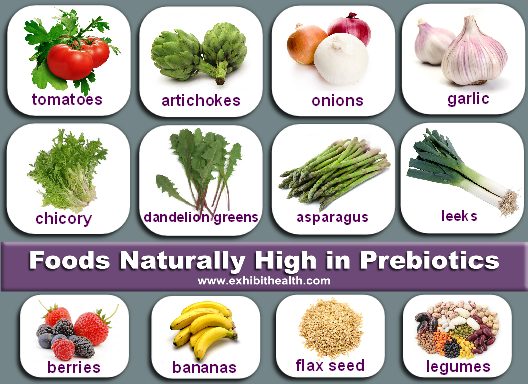 Eat at least 2-4 servings of prebiotic-rich foods a day. Step 4: Give up modern wheat. Beans and lentils provide a good source of flavorful starches. Corn, oats, barley, quinoa, buckwheat and kaniwa are all good non-wheat options. If you buy pasta from Italy, you can be sure it’s made from the ancient grain, semolina durum wheat. Step 5: Use sugar sparingly. Use raw forms of sugar and honey whenever possible. Don’t eat anything with high fructose corn syrup or anything that contains it. Don’t ever eat or drink anything with artificial sweeteners. Steps 6-8: Become a Grassroots Gourmet. Avoid the call of junk food. It’s addictive. Don’t go to fast food joints, pizza shops or convenience stores. “After 30 days of eating the Grassroots Gourmet way, you’ll likely find that eating there will make you ill,” says Dr. Mike. “When you’re shopping try to avoid putting the processed, prepackaged, pre-prepared, and artificially preserved items in your cart.” Buy from your local farmers market and cook from scratch. Eat at home as often as possible. Begin your meals with a small salad or appetizer and wait about 15 minutes before you eat the main course. If you want to have dessert, wait at least 15-20 minutes after you finish your main dish. These are just some of the core principles of becoming a Grassroots Gourmet. These principles are covered much more extensively in Eating Well, Living Better: A Grassroots Gourmet Guide to Good Health and Great Food. Step 9: Make a conscious effort to evaluate the quality of the food you eat. Because chicken is no longer just chicken, and a burger is no longer just a burger, and bread is not even just bread, examination of where the food was sourced, how it was produced and the degree of processing must now become our normal procedure.” says Dr Mike. Food safety is not equivalent to a healthful diet. Step 10: Spice up your life. Herbs and spices restore taste and texture to food. “An herb refers to the fresh or dried leaves of a plant. Spices are generally regarded as the flowers, buds, seeds, bark or roots of plants.” says Dr. Mike. When food pleases us, we savor it. When you put this vitality back into foods, it helps you break the addictive and manipulative commercial use of sugar, salt and fat. Garlic, onion, allspice and oregano inhibit or kill bacterium. Using them in combination yields even greater efficacy. The piperine found in black pepper is effective against botulism. Turmeric has powerful antioxidant and anti-inflammatory powers. Circumin has been shown to inhibit the growth of skin cancers. Hot chili peppers are rich in vitamin C and contain antimicrobial and antiviral properties. Sick and tired of dieting? CLICK ON THIS IMAGE to learn how you can gain the mental power you need to achieve your fitness goals. You can begin living the life you’ve always wanted to live. Looking for a way to entice someone to read this book? Breakfast in bed might be desirable, but Dr. Fenster offers up an aphrodisiac for dessert near the end of the book. He hints at exotic ways to spice up your afternoon or evening in bed. Dr. Mike has weighed his options. 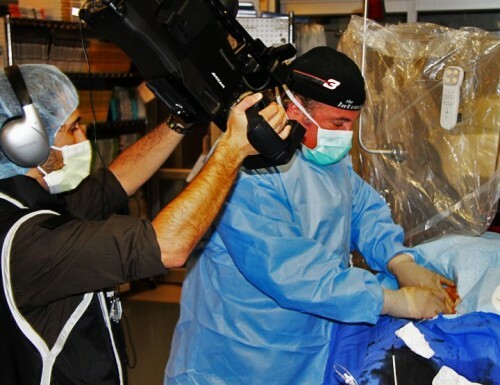 He’s stepping outside the operating room to tell us how we can avoid the scalpel. It’s time to share your reservations. Would you like to meet your doctor for supper or surgery? Dr. Mike affirms the slow foods movement. Be patient. I have a gut feeling this doc is going to help tens of thousands of people live happier and healthier lives. Michael Fenster, MD, is a Board Certified Interventional Cardiologist. He has taught students, interns, residents and fellows. He has also served as an Assistant Professor of Medicine at the North East Ohio Medical University. In addition to addressing audiences from the lay public, he also speaks to peers at the American Heart Association, the American College of Cardiology and elsewhere. 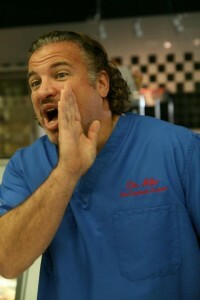 Dr. Mike co-managed an award-winning restaurant. He received his culinary degree in gourmet cooking and catering from Ashworth College where he graduated with honors. He was their alumni of the year in 2013. He has written columns for numerous culinary magazines, websites, The Tampa Tribune and is a monthly contributor for Luxuria Lifestyle. He is a medical and culinary consultant and regular guest speaker on the Josh Tolley Show, a nationally syndicated radio program. He is also a regular on the One Life Radio. He has been a regular on The Daily Buzz show as well as Daytime TV, entertaining and informing during cooking segments. 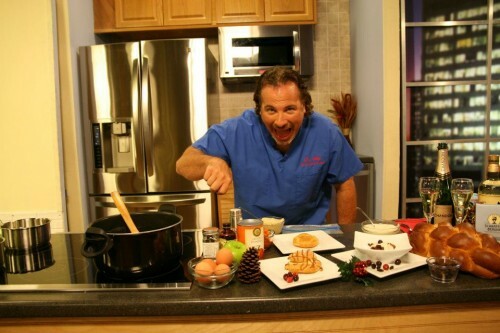 He has hosted his own local cable TV cooking show, “What’s Cookin’ with Doc.” He also co-hosted “Cooking From the Heart,” with Fitness Hall of Fame Instructor Forbes Riley. He also headlined the Annual Florida Blueberry Festival where five live shows, “Just What the Doctor Ordered-Live from the Florida Blueberry Festival.” This was simulcast worldwide via web by the Health & Wellness Channel. To book Dr. Mike at your next event, contact his agent Kristin Haggar. Awesome Article Thank You So Much! !